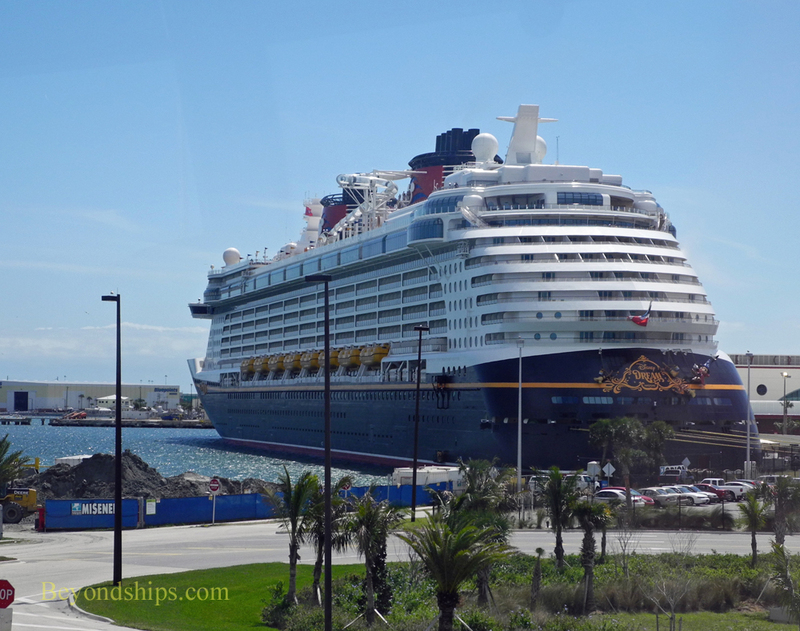 Disney Dream docked in the pre-dawn hours at Cruise Terminal 8, the Disney Cruise Line berth at Port Canaveral. Soon, the sun rises as one cruise ends and another begins. 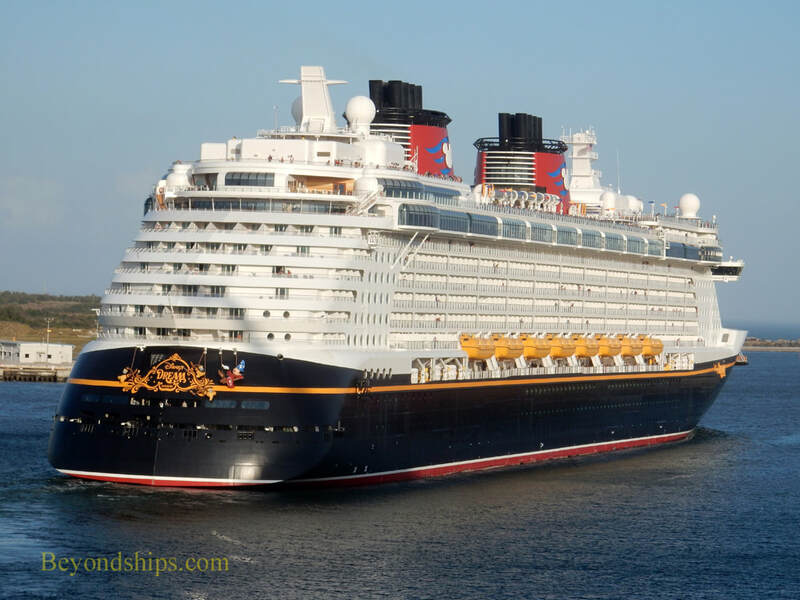 Disney Dream is a large cruise ship (128,000 gross tons). 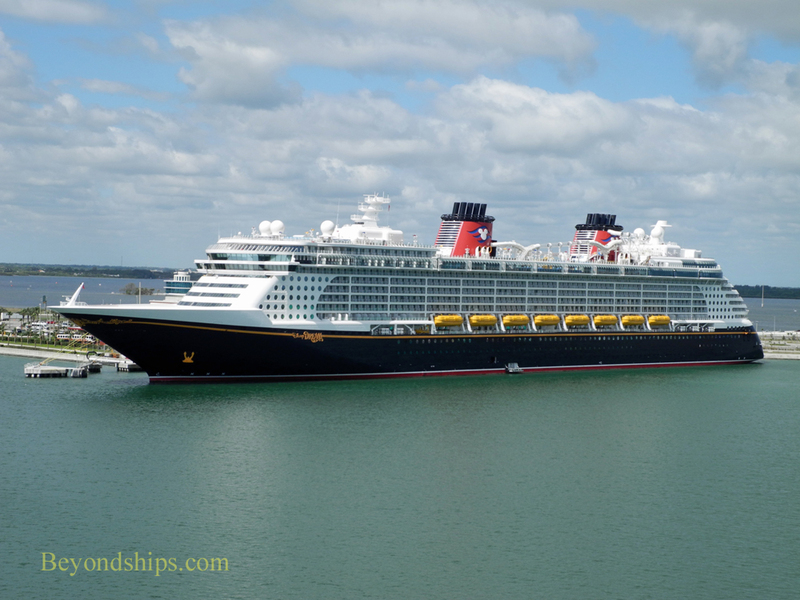 She was the third cruise ship built for Disney and entered service in January 2011. The Dream can accommodate up to 4,000 passengers. (2,500 double occupancy). 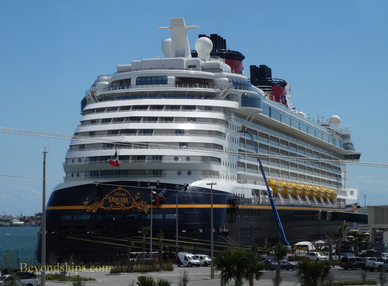 Disney Dream has the lines of a classic ocean liner. Indeed, according to Disney, the ship "was designed to reflect the glamour of the golden age of cruising during the 1930's." 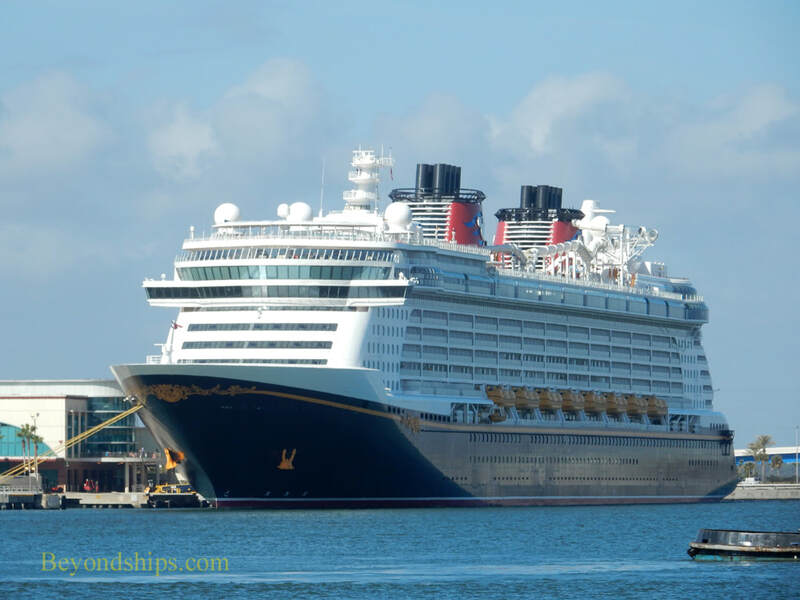 Along the same lines, the cruise terminal that she uses in Port Canaveral was inspired by the original Ocean Terminal in Southampton, England where the original Queen Mary and Queen Elizabeth used to dock. 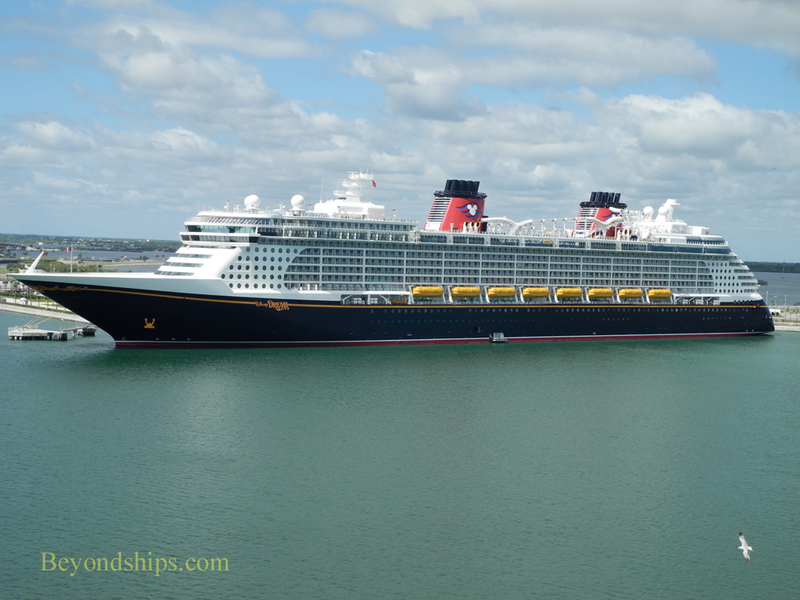 Late afternoon, Disney Dream sets sail on another cruise. (above and video below).